Earlier in the year, buzz about Twin Peaks returning was in high gear. Everyone started their rewatches and conversations flourished. Obviously, the one person that would be in every conversation would be the man who played the incomparable Kyle MacLachlan. Driving to work, listening to the Shock Waves podcast, one of the crew mentioned that if you were excited for the return of Twin Peaks that you should check out The Hidden. It was said how this movie was a predecessor to Twin Peaks era MacLachlan. With most of my recommendations coming from this podcast and Twin Peaks returning soon, I immediately went home to watch it. Directed by Jack Sholder, The Hidden stars Kyle MacLachlan and Michael Nouri as detectives pursuing an alien slug-like parasite that transports itself from body to body wreaking havoc. There’s really no rhyme or reason for the alien form to be on earth other than to cause destruction through Los Angeles. Agent Gallagher (MacLachlan) is an alien cop sent to earth to end the murders and robberies that are happening. He has to team up with Detective Beck (Nouri) on this wild goose chase. Their hardest task is figuring out which human host the alien parasite is in at that time. This tale of cat and mouse ends up with a film about who to trust and how much trust can you put on someone. The Hidden plays off as a buddy cop film with sci-fi, action, comedy, and drama. It may be predictable here and there, but that doesn’t make it less fun to watch. I cannot give more praise to Kyle MacLachlan. 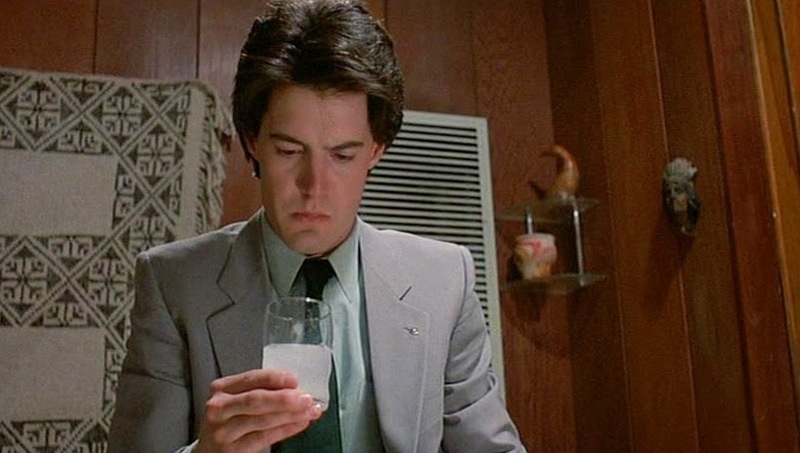 You can truly see his early Agent Cooper in this role. He was is the best pick for an awkward agent sent from another planet. Not to mention, you get to see him use a flamethrower. Can it get any better? Besides the lead roles, the cameos are something to talk about as well. You see Claudia Christian as a stripper, Lin Shaye as an assistant, and if you look hard enough you will see Danny Trejo as a prisoner. This movie has everything. It’s a unique little 80s gem that I highly recommend. If I were to pick a double feature I would choose to show The Hidden with Repo Man. Both deal with life in some way, family, aliens, and each have an awesome soundtrack. 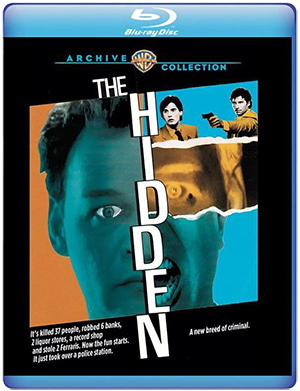 Warner Archive just released The Hidden in Blu-ray on September 12th. It’s fully remastered with a multitude of featurettes. Do not miss out on this unique movie. Rachael was born and raised outside of Philadelphia and has lived there her whole life. Movies took over her life after graduating from college. Horror, indies, and classic Hollywood are her favorite genres. If she's not watching a movie, she's most likely traveling, attending a film festival somewhere in the US, watching hockey, or doing her full time job of reception/social media coordinator at an animal hospital outside of Philly.